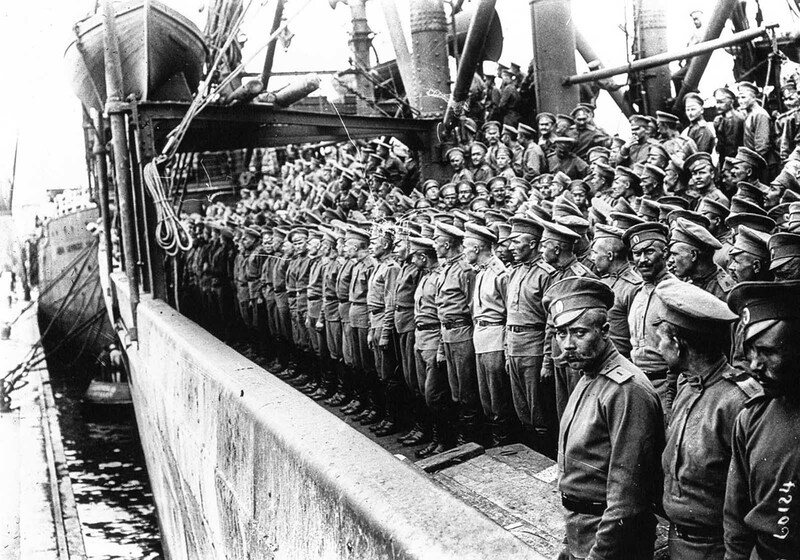 The Russian Expeditionary Force arrives at Marseilles, 1916. An unknown member of the First World War-era Russian Expeditionary Force in France, whose remains were found earlier this year in France’s northeastern department of Marne, will be laid to rest with honors on March 22. The remains were discovered at a site of a First World War battle in the commune of Cormicy in January. The preserved fragments of his uniform indicated that it was a member of the Russian Expeditionary Force in France, later known as the Russian Legion. The memorial ceremony will be held at the Russian War Cemetery of Saint-Hilaire-le-Grand. The Russian Expeditionary Force in France was created in 1916 after France requested that Russian troops be sent to fight alongside their own army on the Western Front. It was disbanded after the 1917 February revolution in Russia, but hundreds of its members continued to fight in France as volunteers. Russia and France lost some 3 million and 1.5 million soldiers respectively in the First World War.